America’s fascination with flavored spirits has entered an entirely new dimension. On the heels of Pernod Ricard’s just-released trio of Mama Walker’s breakfast-inspired liqueurs — Maple Bacon, Blueberry Pancake and Glazed Donut — Kellogg’s has announced that it is jumping into the beverage alcohol market. 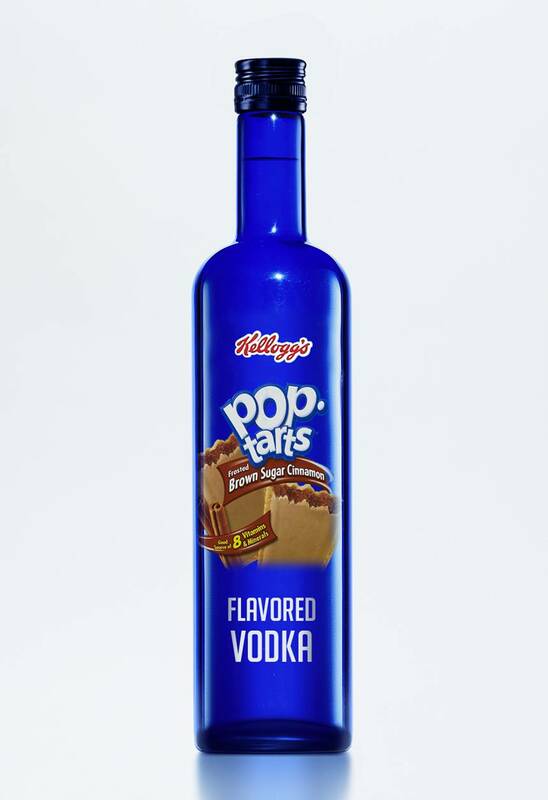 The nation’s cereal giant, based in Battle Creek, MI, has teamed up with a craft distiller from nearby Kalamazoo to produce a line of Pop-Tarts® Vodka. The initial roll-out will include Brown Sugar Cinnamon, Classic Strawberry and S’mores, with plans for at least three new flavors to come annually. He went on to explain that, thanks to proprietary production techniques, Pop- Tarts® Vodkas can be served chilled or heated. When heated, the flavors take on a “toasty edge” that resulted in the highest favorable focus-group response rate Kellogg’s has ever seen. Indeed, the samples of chilled and “toasted” Pop-Tarts® Brown Sugar Cinnamon Vodka passed out at the press conference proved quite distinct; the heated examples had top notes of savory nutmeg followed by a burst of caramelized brown sugar leading into a slightly burnt but flaky finish. 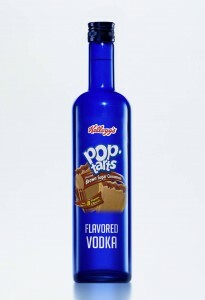 Smulligan added that the new line of 80-proof vodkas had been in development at Kellogg’s headquarters for years. While he stopped short of calling it the greatest thing since sliced bread, he did predict wild popularity for the new brand. “These flavors are going to have mixologists coming to work in pajamas,” he said.